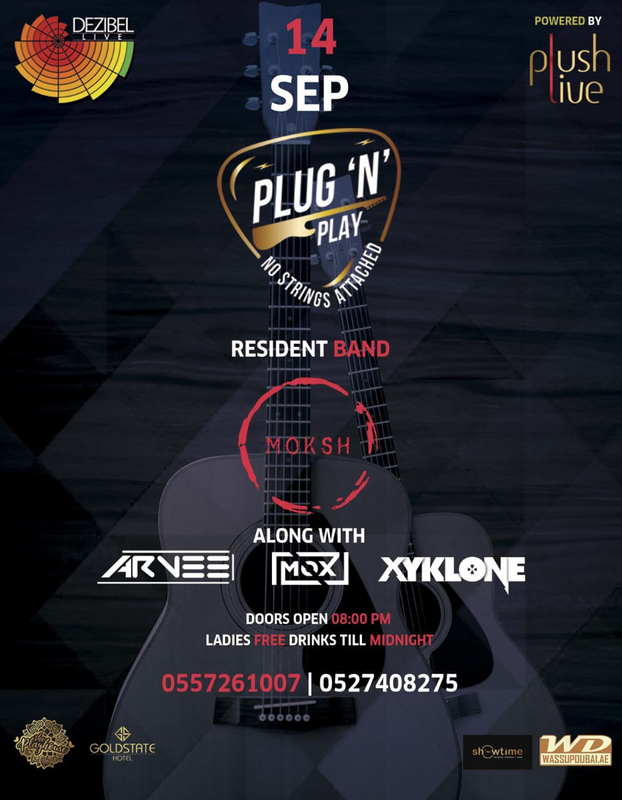 Did you miss last Friday the Launch of Plug n Play Season 2 ? See you all on Friday 14th September at THE PLAYHOUSE (Gold State Hotel, 1st Floor, Al Jaddaf Area) with the Resident Band MOKSH along with DJ Arvee, DJ Mox & DJ Xyklone. Door opens 8:00 pm. Ladies get free Drinks till Midnight. For info or table reservations call 055 726 1007 / 052 74 08 275. Powered by Plush Live. Brought to you by Dezibel Events.